Fall is the perfect time to enjoy some pumpkin or apple themed drinks! Or cozy up next to the fire pit with a spiked cider or spiced latte. If you’re looking for the perfect fall drink you’ve come to the right place! I’ve rounded up almost 30 awesome drinks perfect for fall. All that’s left is to decide which one to try first! Want more fall drink madness? 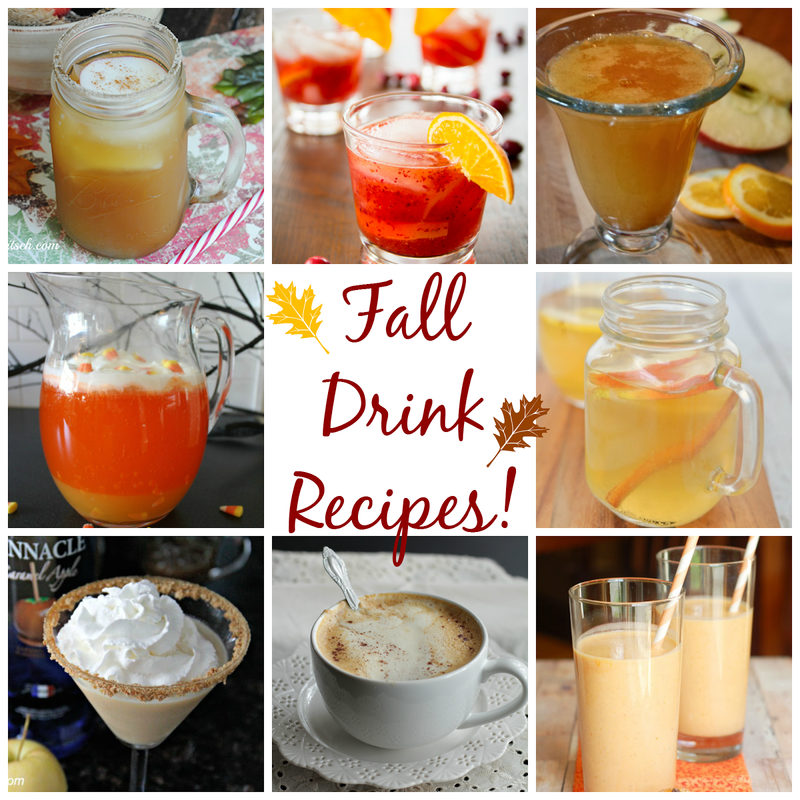 Follow my Fall Drinks pinterest board! All these drinks are there with more being added throughout the fall! This is a great collection, Rachel. 🙂 Pinning. What an awesome idea for a round up. We have a pumpkin carving party every year with our friends and we are always looking for something like these ideas! They all look amazing! I imagine Tom would think I were crazy to make them, since he just opened up to the idea of my stirring together a pumpkin cappuccino from a mix. One small step at a time! Oh what a fantastic list! Perfect for a fall party. Thanks for sharing! Yum! These all sound so good. We just picked up apple cider at the farm today. Such a great part of the season. Fancy hot chocolate is calling my name!